When a child starts making the distinctive "barking" coughs associated with croup, it can be concerning or even frightening to parent and child alike. Understanding the causes of the croup cough and possible corresponding symptoms is important to alleviating this fear and properly addressing the problem. Croup is a general term for a harsh, barking cough occurring in a baby, toddler, or young child. It typically accompanies an upper or lower respiratory infection, and is heard below the throat and slightly above the chest. Croup is not actually a disease in itself, but a symptom of a respiratory infection. The condition usually lasts no more than a few days. Croup tends to occur quickly, meaning a child that shows symptoms of croup may be fine one day, and then be full of mucus and coughing loudly the next. The most common cause of croup is a respiratory virus which inflames the respiratory tissue in the trachea above the vocal chords. This prevents mucus from moving out easily, and leads to the harsh, "barking" cough associated with croup. Croup can be alarming because often, the child can seem to be in distress, working hard to breathe, or feel like the might not be able to breathe. Usually, croup is not more serious than other kinds of cough. In most cases, a child with croup symptoms will initially be evaluated by a pediatrician. Croup is often treated with inhalation medication (such as a nebulizer). These medications will relax (or, in some cases, constrict) the respiratory tissue so mucus can move out more easily. 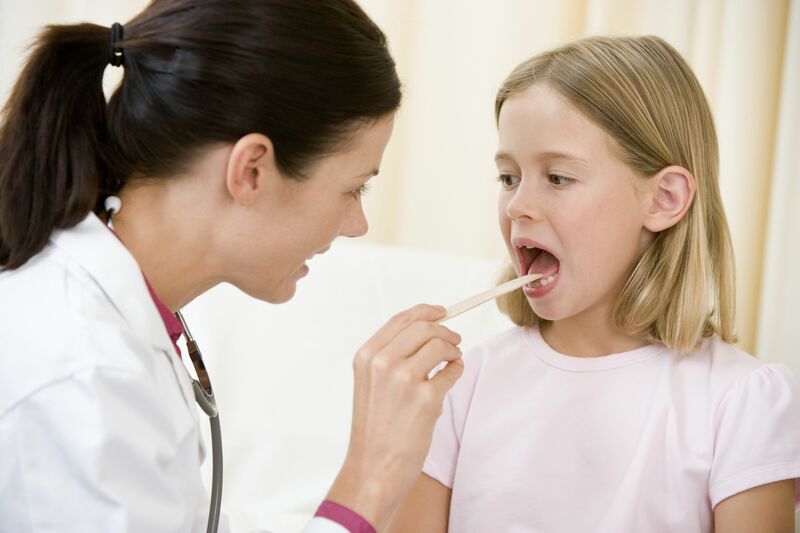 If the child does not improve from the initial treatment by the pediatrician, an ENT doctor may get involved. This most often occurs if the condition is not responding to the medicine, or if obstruction of airflow becomes a worry. It may also be necessary to contact an ENT doctor if the child has had croup multiple times. Most children get croup once. Three or more episodes in a year could be a sign of something wrong with the tissue under the vocal chords. In this case, the ENT physician will look under the vocal chords with a camera to see if the airway is abnormally tight, or blocked by some obstruction. Croup is a common childhood ailment and not cause for alarm in most cases. If you have concerns about your child's croup and wish to have them evaluated, contact Virginia ENT to make an appointment today.